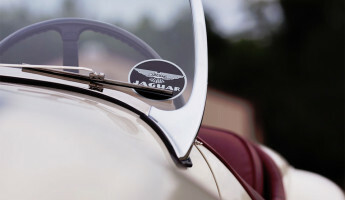 Over 60 years ago, the Jaguar XK120 was the fastest production vehicle in the world, topping out at 120mph on the open road. 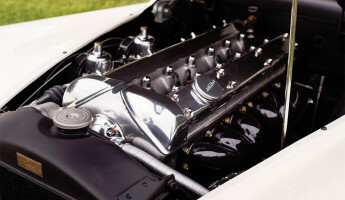 It was adored by motor enthusiasts, preferred by racing teams and admired by the casual observers of the day. 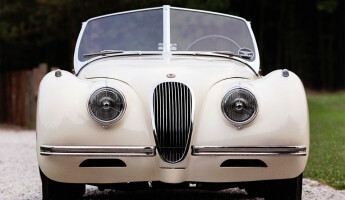 Today, a prime example of the XK120 has been restored close to factory condition as it heads to the auction block. 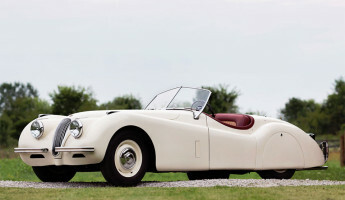 This 1951 Jaguar XK120 Roadster is expected to fetch $150,000 under the gavel at the Hershey classic car event in Hershey, Pennsylvania by RM Auctions. 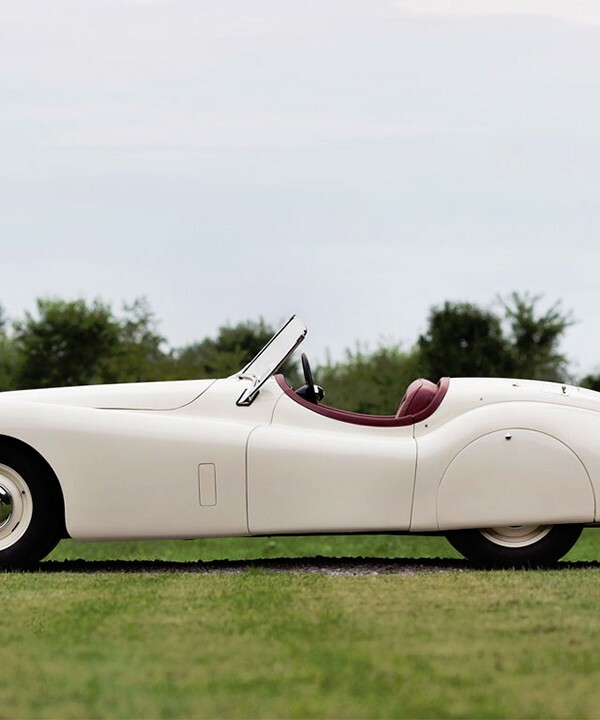 From a purely aesthetic perspective, the 1951 Jaguar XK120 Roadster is a remarkable achievement in post-war design. 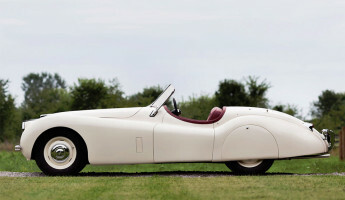 Its smooth, curvy figure is accented by chrome elements in front and an understated posterior with nearly-seamless wheel covers. 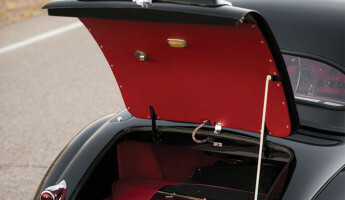 The red and tan interior is open to the world, thanks to the drophead coupe design, allowing plenty of wind-in-the-hair for driver and passenger alike. 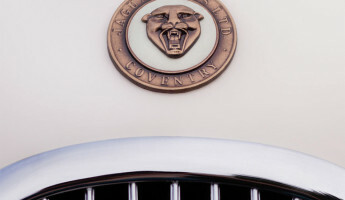 A drive in this Jag isn’t a ride, it’s a procession– as it appears to float along the pavement in a confident, classy manner. 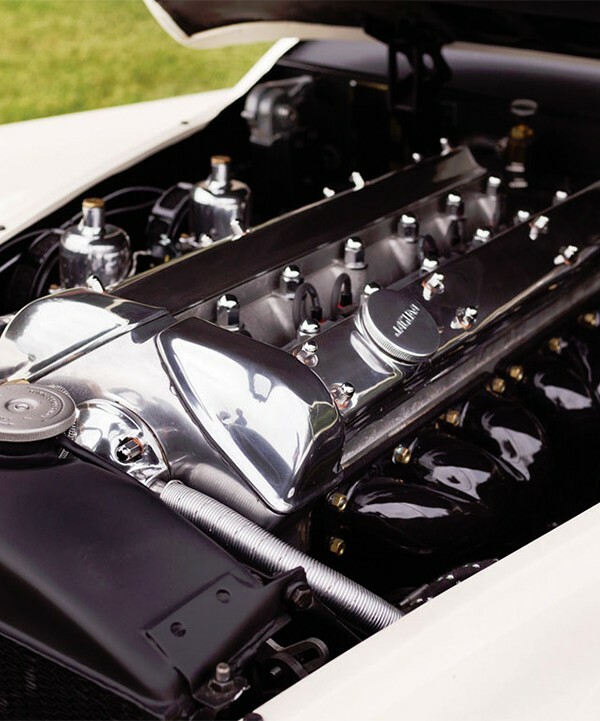 The 1951 Jaguar XK120 Roadster wasn’t just admired for its appearance, but one of the finest engines produced in its day. 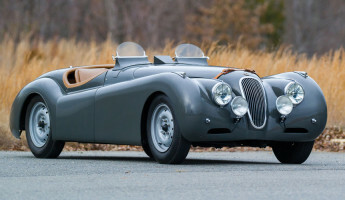 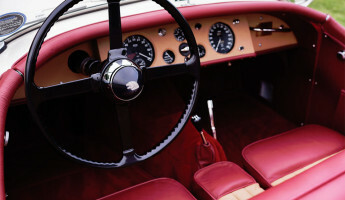 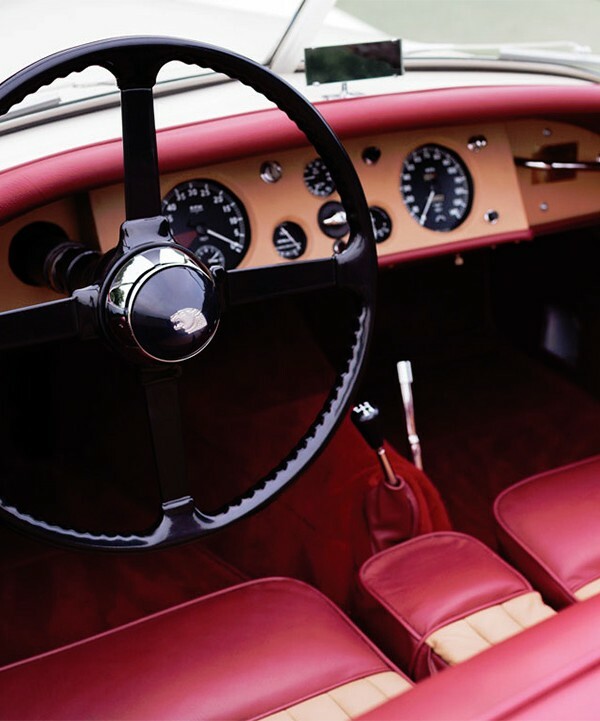 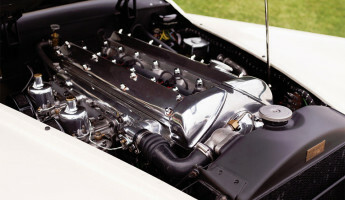 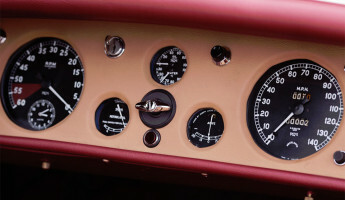 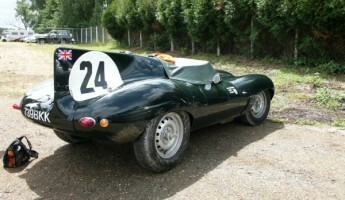 Its 160 bhp, 3,442 cc DOHC inline six-cylinder engine was advertised as reaching 120mph at full sail, but in factory tests the XK120 often broke 130mph. 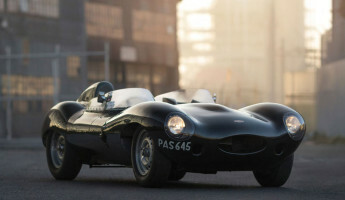 It wasn’t just a remarkable achievement at the time, it was record breaking– 120mph was the fastest ever achieved by a production vehicle, a claim that Jaguar didn’t mind boasting. 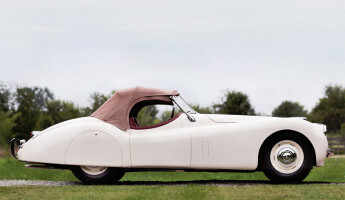 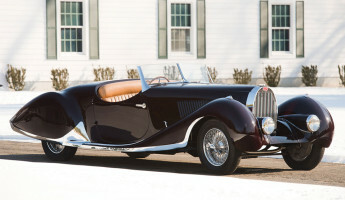 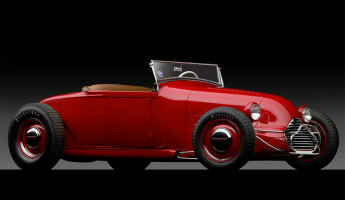 This Drophead Coupe model of the 1951 Jaguar XK120 Roadster will be auctioned on the 10th and 11th of October by RM Auctions in Hershey, Pennsylvania. 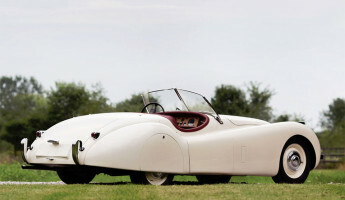 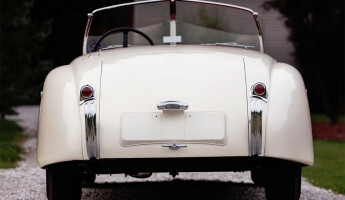 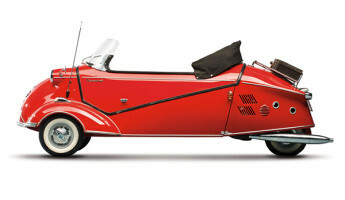 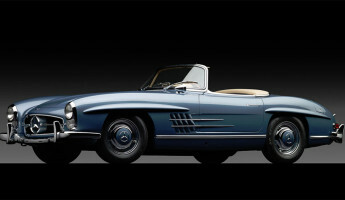 It is expected to fetch between $130,000 and $150,000, but don’t be surprised if bidding becomes even more competitive. 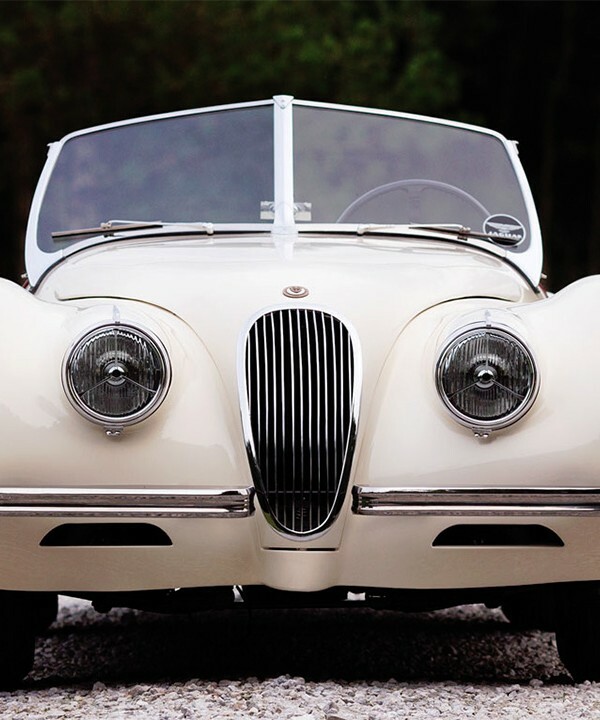 It is a prime example of the XK120 series, restored to factory condition and ready for your own personal museum or a bit of high-speed joy-riding… or both.